Product #181 | SKU 1510-510-000 | 5.0 (based on 1 rating) Thanks for your rating! 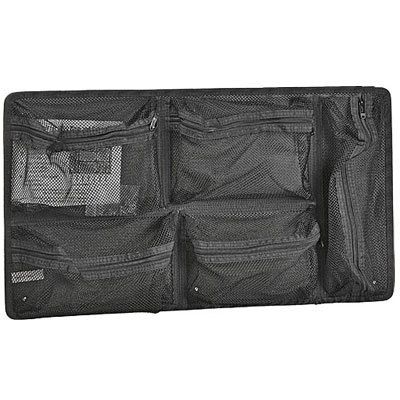 Lid Organizer for the Pelican 1510 Case - Made of waterproof Ballistic Nylon. The Pelican 1519 Photographer's Lid organizer is designed specifically for the Pelican 1510 or 1514 case. It installs easily with the included Touch Fastener strips. It is made of Ballistic Nylon with nylon zippers and features a multitude of pockets in various sizes to protect and keep your gear organized.